intensively teaches any man or woman Self Defense. "Aviram meticulously takes you through the complex web of the possibilities during a Self Defense and Hand to Hand Fight Interaction without making it complicated. Aviram programs your mind and body in a sequential execution of mental and motor skills that will give you the upper hand in a split second life or death confrontation. 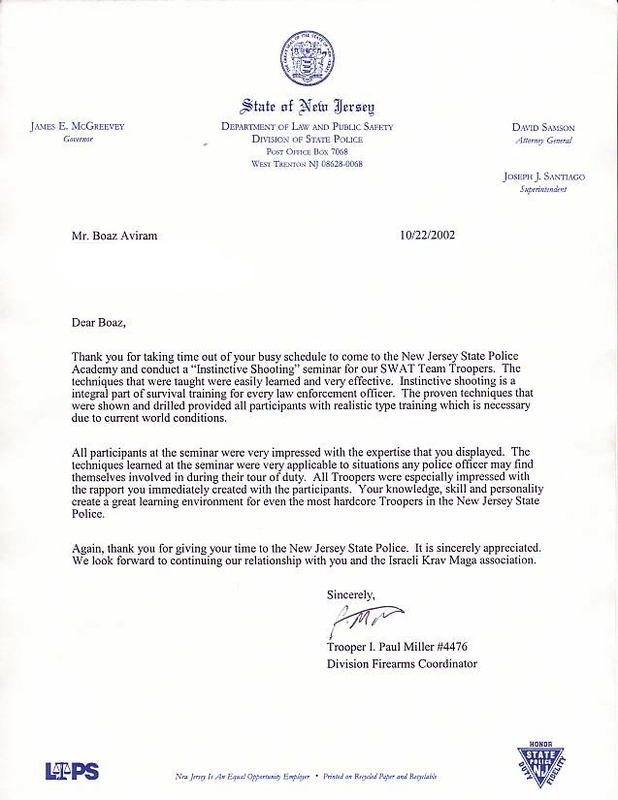 Aviram demonstrates a complete program of detailed training methods." 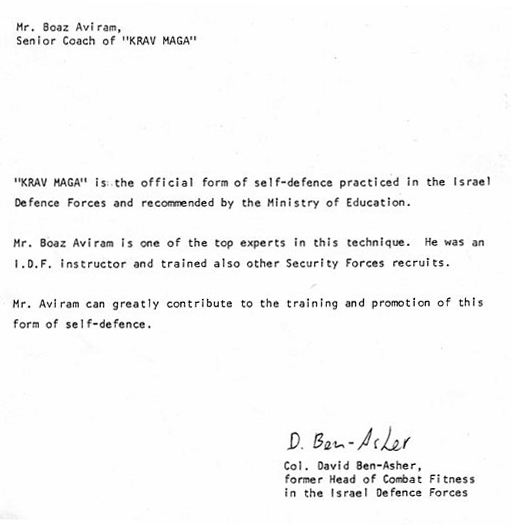 Boaz Aviram is the third in lineage of Israeli Defense Force Fighting Fitness Academy Krav Maga instructors, specializing in teaching the most advanced Krav Maga applications to special operations units, and conducting Krav Maga Instructor's training program certification. He has taught security personnel of the Israel Aviation Authority, as well as numerous US and European federal and local law enforcement agencies. He is certified by Israel's Wingate National Sports Institute as a Krav Maga Senior Instructor, and a coach. 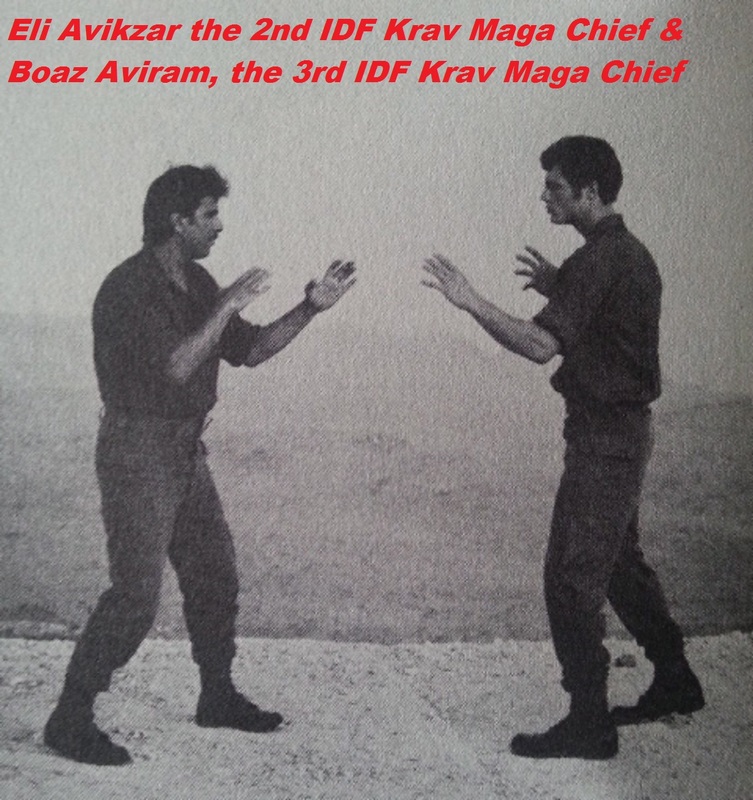 Krav Maga, which means Hand to Hand Combat in Hebrew, is a training system first developed in the Israeli Defense Forces by Imrich Lichtenfeld, Eli Avikzar and Boaz Aviram. The system was designed to create a close quarter fighter within a short period of time which will prevail, hand to hand, against an enemy with years of martial art or street fighting experience. 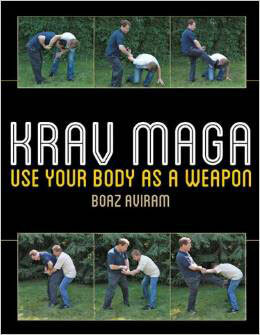 Krav Maga is built on the principles of human physiology, psychology and reaction time. 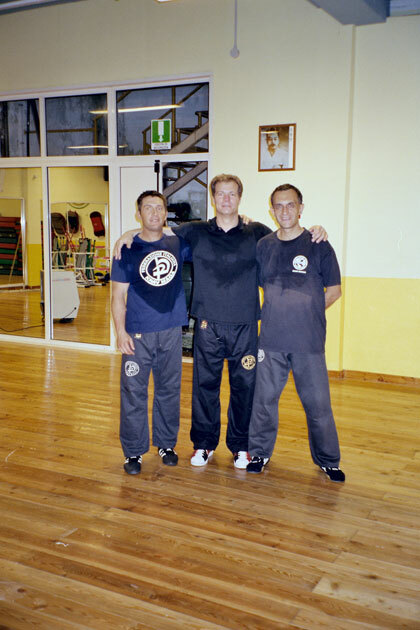 Rather than repeatedly drilling in rigid engagement techniques, Krav Maga students learn to analyze a hostile environment, and stop the opponents capabilities according to his posture, selecting the appropriate action, within split second before the engagement. The Krav Maga trainee is not taught to defend against a specific weapon or hand strike, rather to counter the opponent's intent before the attack is initiated. Training begins with techniques to overcome fear, analysis of survival chances in a threat situation and a comprehensive study of reaction time and pressure points. This leads to rapid decision making of taking the best course of action using the tools at hand. After learning to use the maximum of his mind, the trainee turns to the physical capabilities of his body, building up techniques that work under extreme exertion. Most techniques are executed using principles of gravity, so even when fear and hyperventilation takes over, one can still mount an effective defense and attack without using great muscle contraction. 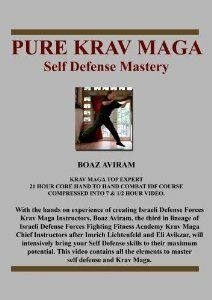 Pure Krav Maga – Self Defense Mastery™ is a training system founded by Boaz Aviram who was the third IDF Chief Krav Maga Instructors in direct lineage from the founder. 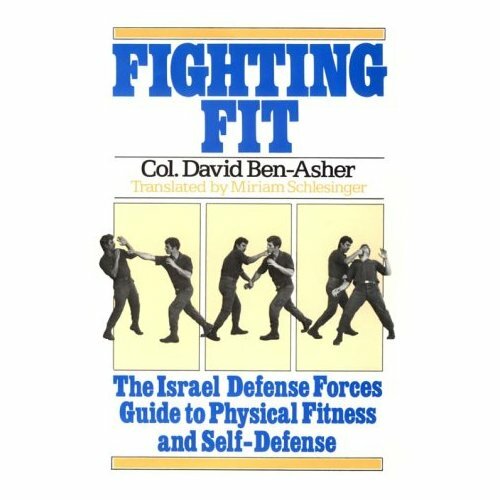 They system maintains its original IDF objective which are to bring anyone to their best Hand to Hand Fighting capabilities in minimum amount of time differentiating from the dojo based civilian versions that promote constant retraining as lifetime fitness experience. 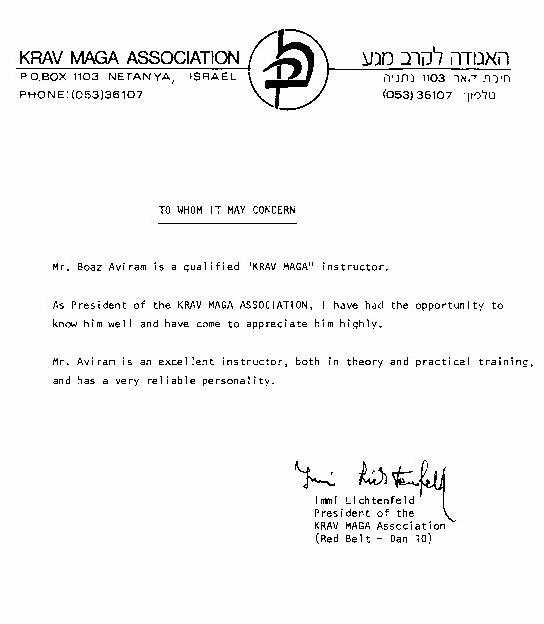 Pure Krav Maga – Self Defense Mastery™ is a complete documented system where quality control is not compromised. 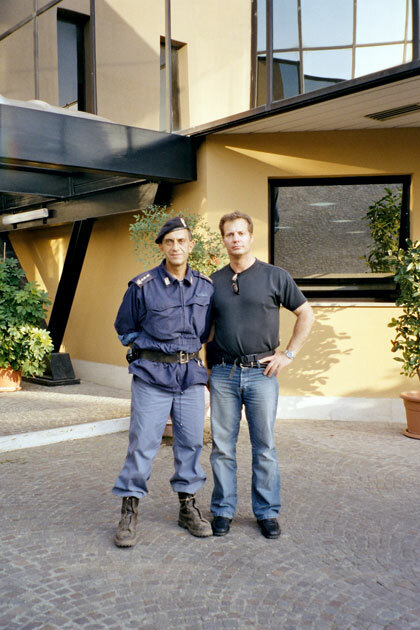 October 2004 Seminar For Special State Police Officers, Rome, Italy.